Precision spares for various types of Projectors. SCE has a solid knowledge & hands on experience in all types of leading projector brands and has good technicians who can service any type of 35mm Projectors. In the early 90's world of cinema has changed from the evolution of Digital Sound from DTS & Dolby Labs. After this evolution people around the world started seeing movies in the theatres which also changed in Indian Cinema. At this time, SCE got hands on experience in installations of DTS & Dolby systems in theatres from USA and started distributing & installing these systems in the theatres. In the beginning of 21st Century SCE started manufacturing its own Xenon Lamphouses which gives constant lighting and ease of operation which had replaced the old carbon Lamphouses. 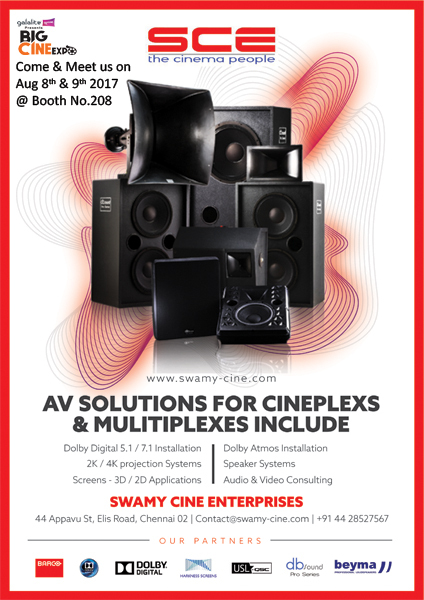 From 1979 till today SCE keeps updating the latest trends in the Cinema industry from the World to the Indian Cinema and it will keep continuing to bring the most advanced technologies to the Indian Cinema Projection.